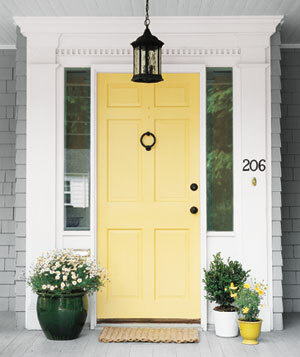 Ansley Designs: What Color Should I Paint Our Front Door??? What Color Should I Paint Our Front Door??? 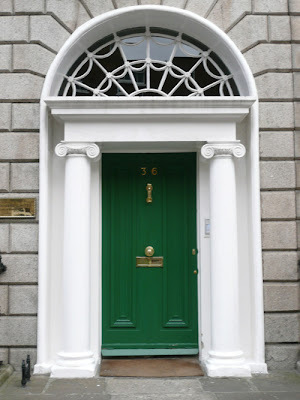 I am itching to paint my front door. When we bought the house, it was black - it still is black! 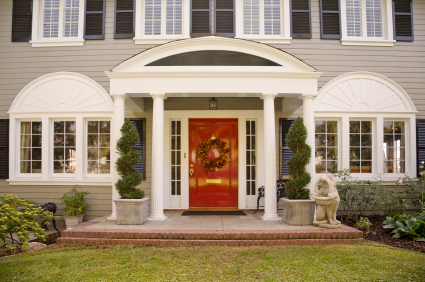 My first thought in regard to painting the front door was RED! But then I've been looking online at all these other awesome colors. The trick is, of course, not only choosing a fun color that I ❤ but ensuring that it matches our house. So here is a photo of our home as it is now. Pretty plain right? We also want to add some shutters at some point - they will likely be black or some other neutral. So far, I don't really like brightly color shutters. So what color door would go best with our house? 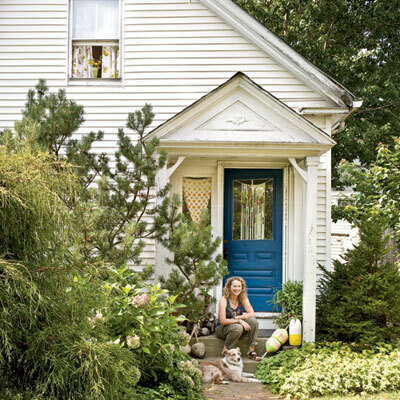 I sort of want something that is a nontraditional front door color, but nothing too loud or over the top. Here are some inspirational front door colors that I am loving! This is the color scheme that I initially envisioned. I am loving the purple - I think it will look good on our house, too! I tried to choose inspiration doors that were on homes similar to mine, i.e. 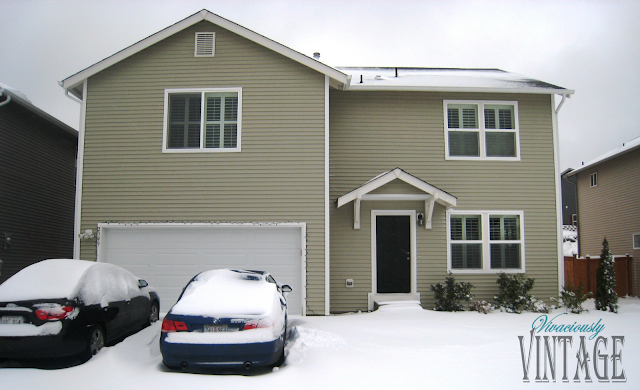 in color, with siding. I am loving the red as shown with the black shutters like I want, but I am also really feeling that deep purple! What shutter and door combination colors do you think will look best? P.S. what color is our house?!?! I swear it's a brownish color...but my husband and mother keep telling me it's greenish!!! P.SS. Check out the color that I decided to go with! I swear your house is brown too,and girl, go for the purple! It will look great with those black shutters!My front door is currenty the blue-y kind of dark green-y stuff that was hot a few years back, my shutters are painted the same, but after 8 years I am ready for those black shutters and a sweet purple front door! Hi Ansley, ended up here via Craigslist. 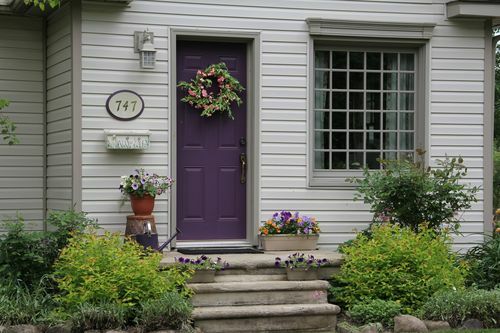 So, did you paint your door purple? I'm an artist/antiques dealer and thought I'd toss a couple thoughts your way. To me, the front of your house doesn't have a lot of architectural details that give it enough "framing" that will balance out the dark,narrow door against the expanse of green on the front of the house. I copied your photo to my graphics program and made some colored tiles as "doors" and pasted them over the door in your photo to create an idea of how those colors might look. If you'd like to see them please email me and I'll email them back to you. 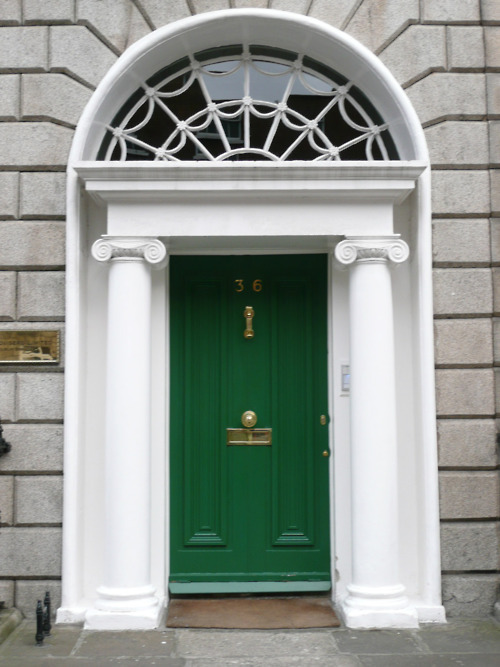 Of course you may have already painted the door by now, and the main thing is, if YOU are happy with it, that's all that matters!